1. [+1,537, -106] Ugh why!!!!!!!!!!! 8. [+112, -7] Kim Jung Eun, Ha Ji Won, Kim Ha Neul, Song Hye Gyo, and the next female lead is Kim Go Eun? I don't get it. It's going to be so hard to focus on the drama. She doesn't even match with Gong Yoo. 2. [+10,316, -1,191] She's honestly not lead worthy... but she's in way too many dramas..
6. [+2,959, -142] They put in all that effort to cast Gong Yoo only to pair him up with Kim Go Eun...? Kim Goeun is a beautiful and talented actress and the fact that she is getting hate because she isn't to the bar of 'pretty and popular ' is sad,shouldn't her talent be the only thing that matters and not her looks? Kim Go-eun-I will play the female lead in writer Kim Eun-sook's new drama, "Goblin" on tvN, co-starring Gong Yoo. According to an insider in broadcasting industry on May 26, Kim Go-eun-I landed the female lead role in the drama and will co-star with Gong Yoo in the romance drama. Kim Go-eun-I has delivered her great acting performance for her role in the recently finished tvN drama, "Cheese in the Trap". "Goblin" is highly anticipated for being the comeback drama by 'Descendants of the Sun' writer Kim Eun-sook. tvN drama "Goblin" is slated for November this year. "Goblin" is about a 'protective goblin' who needs a human priest to end his immortal life, and an Angel of Death living together. The drama is a wonderful but sad one as the goblin and the Angel of Death see the Dead off into the other world. The drama is anticipated to depict the sad, beautiful, and strange daily life. This is faaaaaantastic casting news for what is K-ent’s most anticipated upcoming drama, that of uber successful screenwriter Kim Eun Sook‘s first cable drama Demon on tvN. Having locked up Gong Yoo as her male lead, something she’s been trying for years now, now Kim Eun Sook has her eyes set on talented movie-drama actress Kim Go Eun as the female lead. Kim Go Eun was a relative unknown to the drama viewers but had been making a splash in many Korean movies before her television debut with Cheese in the Trap in early 2016. tvN is likely striking while the iron is hot with her since her performance in Cheese was widely lauded as one of the best aspects of that drama. Demon is currently slated to premiere in November on tvN’s most watched Fri-Sat time slot. In addition to the news that Kim Go Eun was in talks for the female lead, there is also news that PD Lee Eung Bok is returning to reunite with Kim Eun Sook to direct Demon. He directed herDescendants of the Sun and before that directed Discovery of Love and Secret on KBS. I’m thrilled with him at the helm, his ability to succeed at the directorial aspects of all three dramas, IMO, of completely different genres, makes me anticipate how he will bring to life Kim Eun Sook’s first stab at total fantasy with Demon. Gong Yoo is playing a demon who wants to become human while Kim Go Eun would be the female lead who is a bringer of souls to the underworld who has lost her memory, and the two end up cohabiting. 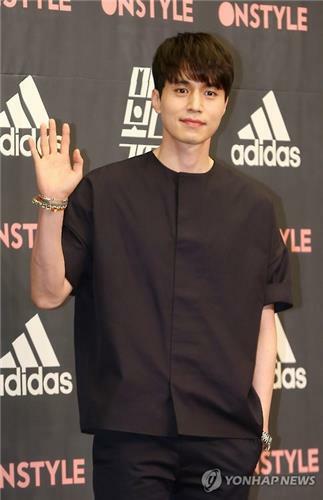 On May 27 it was revealed by a representative that actor Lee Dong Wook is currently considering taking part in a new drama, entitled “Goblin” (working title), by writer Kim Eun Sook. Star writer Kim Eun Sook is the creative writer behind hit dramas such as “Descendants of the Sun.” Lee Dong Wook’s role, if he takes the part, will be the grim reaper. It has been previously confirmed that actor Gong Yoo will participate in the drama. This his return to a TV drama in four years. Furthermore, Kim Go Eunis also considering the lead female role. The drama’s plot revolves around the story of a goblin and grim reaper who live together. The goblin needs a human bride to end his immortal life, while the grim reaper suffers from amnesia. “Goblin” is set to air in November on tvN. Oh, interesting. 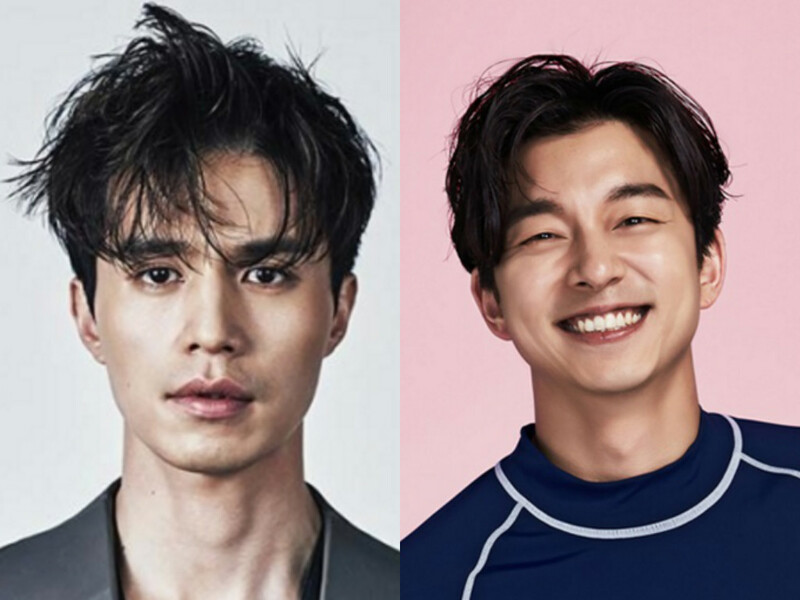 Lee Dong-wook (Bubblegum) is up for the role of a reaper who takes up residence with goblin Gong Yoo (Big) in tvN’s new fantasy romance drama Goblin, which sets us up for bromancey cohabitation. Part of me is disappointed — I was holding out hope that the heroine would be the reaper in this story. But how could I possibly have anything against a bromance between two beautiful immortals? As for the human realm, Kim Go-eun (Cheese in the Trap) is considering an offer to play Gong Yoo’s love interest, the human bride he’s looking for to end his eternal life. Lee Dong Wook to work with Kim Go Eun and Gong Yoo for a new drama? Lee Dong Wook has been offered a role in upcoming tvN drama 'Goblin'! 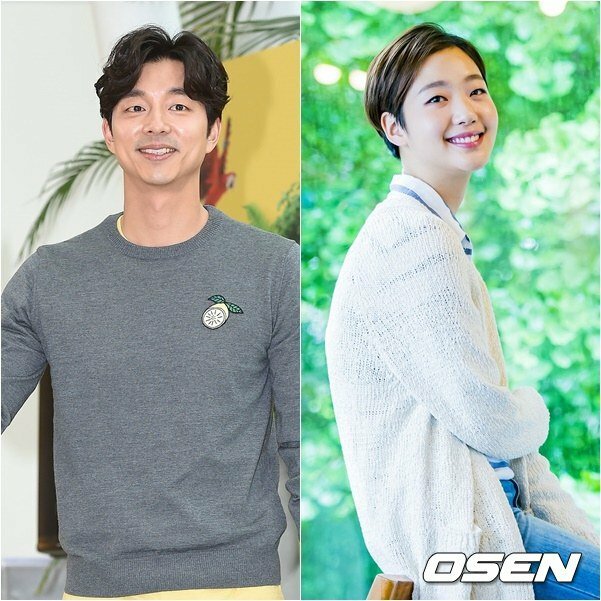 Previously, Gong Yoo was confirmed as the drama's lead male while Kim Go Eun said she was looking into the offer for the female lead. 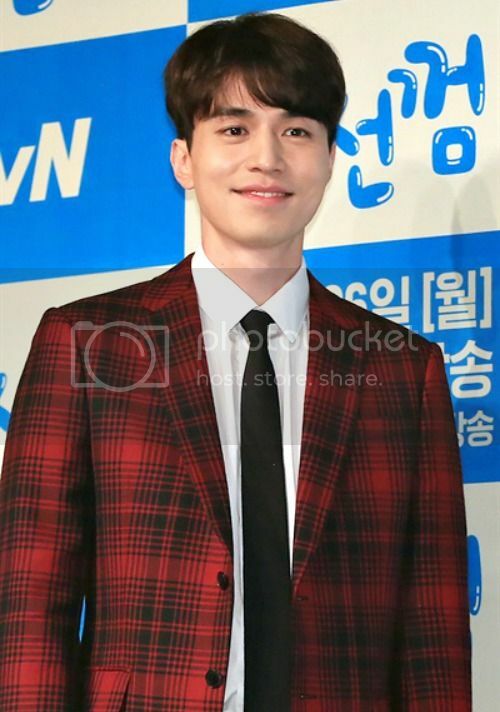 Lee Dong Wook's label King Kong Entertainment stated, "It is true that he was offered a role for the new tvN drama 'Golbin', and he is positively looking into it." Currently, 'Goblin' is receiving great attention for its cast, but also for the writer, one of the geniuses behind hit drama 'Descendants of the Sun'. What do you think of the possible cast of 'Goblin' so far? In the fantasy romance drama, Kim will pair up with actor Gong Yoo of “Train to Busan” (2016). The drama series is scheduled to hit the air in November on tvN, and it is reportedly based on a Korean fairytale story which is about a relationship between a goblin who wants to end its immortal life and a death angel. Actress Kim is one of the most prolific actors these days. Her recent film “Canola” is currently screening nationwide and the 25-year-old actress appeared in the hit drama series “Cheese in the Trap” earlier this year, for which she received acclaim for her portrayal of Hong Seol, the lead female character, from the fans of the original webtoon. Meanwhile, writer Kim is often dubbed the queen of romantic comedy drama series. The last episode of “Descendants of the Sun” earned a viewership rating of 38.8 percent last month. With many people enjoying entertainment across various platforms including the Internet and smartphones, drama series these days rarely earn more than 15 percent of viewership. Kim also wrote a slew of hit drama series. “The Heirs” (2013), “Secret Garden” (2010-2011) and “Lovers in Paris” (2004) are some of her creations. We all have different POV..
Another reason to anticipate this.... Lee Dong Wook.... But why not picking someone else for the female lead? It's not Go Eun a bad one,... It's just I wish it's offered to someone else.... or the someone else reject it and Go-Eun is the first to response?? Anyway... I hope Dong Wook is in the house.... I must admit KES always has her own way to tell the story... and it's good... though sometimes she slipped on telling us the end. Everything is sounding good till now... good writer, excellent director... and top class actor.. I am having mixed feelings about Kim Go Eun though. She is gorgeous but I haven't seen her really act! Who knows may be this is the drama which brings out the best in her!! I will give her one thing... she looks beautiful in tragic scenes... may be that would work for this drama. All said I would watch this drama just for Gong Yoo!!! Sad that all the negative news about KGE. Lee Dong Wook and Gong Yoo in one drama???! Are they trying to kill our hearts?! With regards to KGE's casting, Kim Eun Sook always has a huge role in casting. She writes her characters around her actors/actresses so she must have a good reason for casting KGE. I personally really liked KGE in CITT and she's done quite good in her movies. I have full faith in the team's choice of casting her. 1. [+4,972, -77] Woah, I hope Lee Dong Wook finally shoots to fame too..
5. [+2,257, -92] Kim Eun Sook indeed chooses and saves those who can't get popular ㄷㄷ Can she turn him into a Hallyu star? 9. [+732, -70] The female lead should at least have the acting skills or the looks, one would suffice.. but they picked someone who's uncomfortable to look at.. It cut my excitement in half.. Does He Accept The Role ?